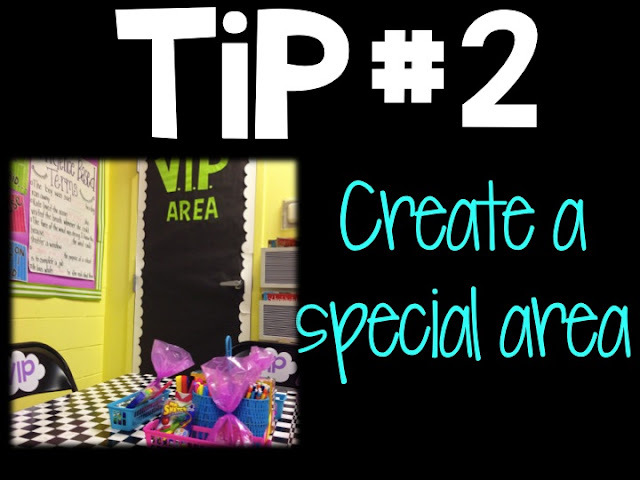 The best way to make this a special, coveted privilege in your classroom is to make a special area that only VIPs are allowed in! In my classroom, when VIP's are chosen, they immediately move to the VIP table and everyone claps! Below are pictures from my first VIP area. This is what makes becoming a VIP so special! VIP members get access to ALL the perks in our classroom! 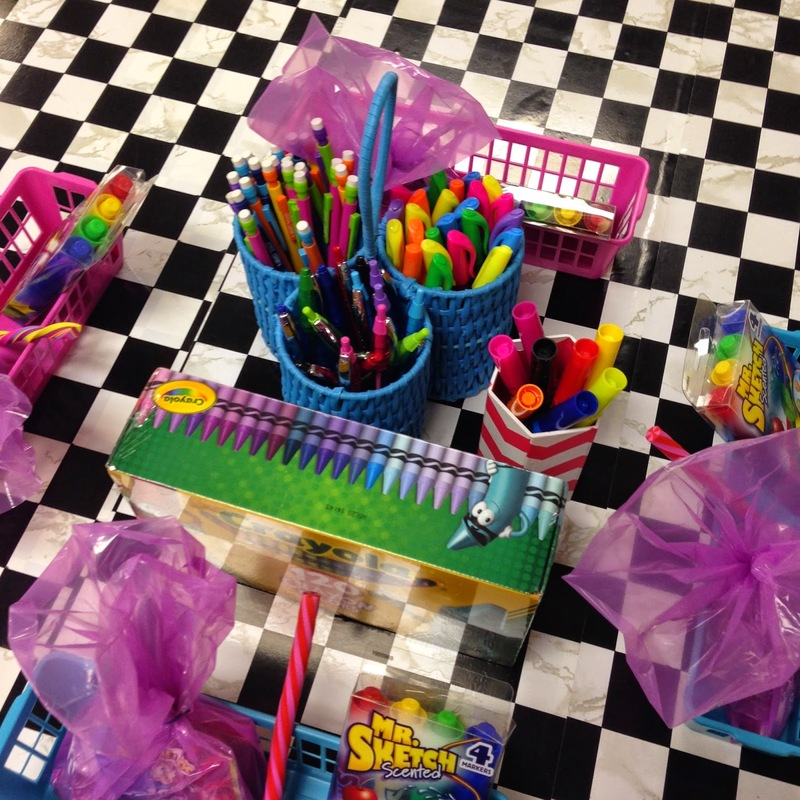 They get to decide if they want to work at the VIP table for the day or grab a clipboard and work around the room. They get first choice of seating when we read around the room. If a non VIP member is sitting in a trampoline chair, the VIP member gets to request the chair (in a polite way, of course!) VIP members also get to write in pens! 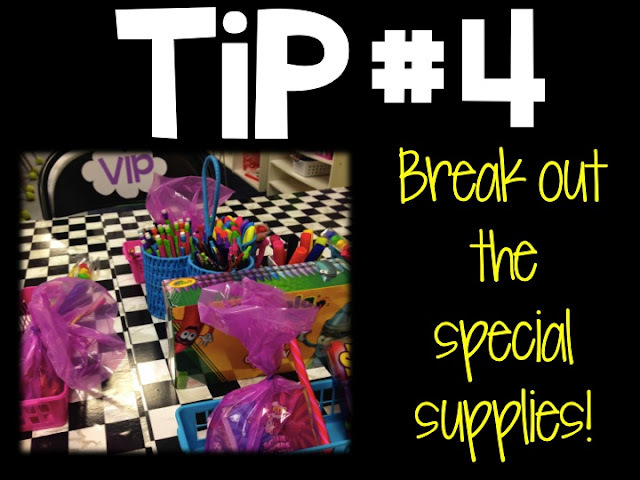 So of course, the VIP members get access to all the best supplies! 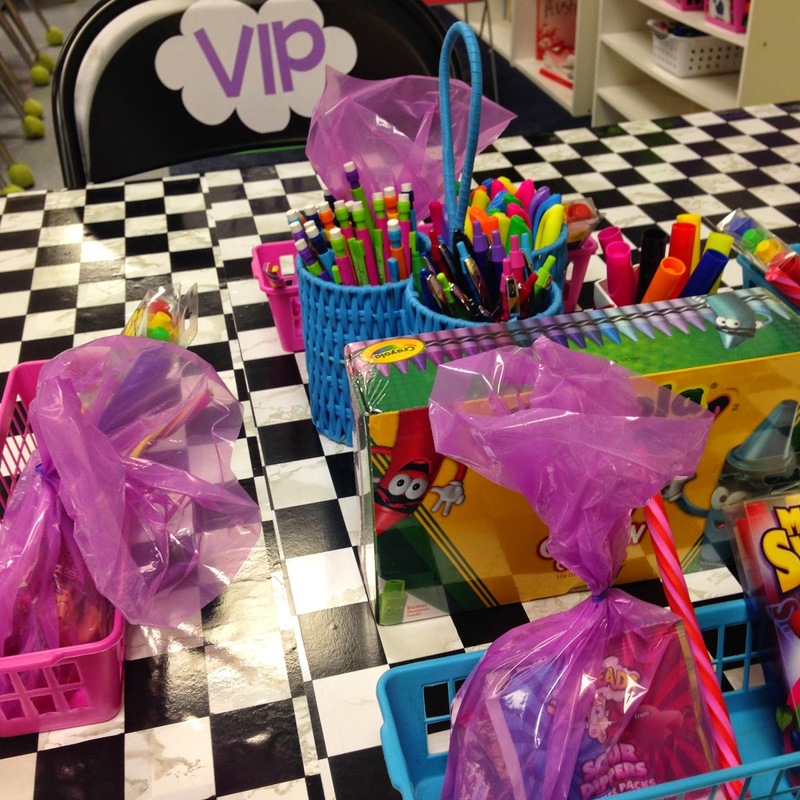 They also get a candy bag when they earn VIP for the first time! The main point of VIP is to honor those who are standing out and doing what they are suppose to. When I go over VIP at the beginning of the year, I tell the kids that not everyone is guaranteed a "turn". VIP is something that is earned, not passed around. 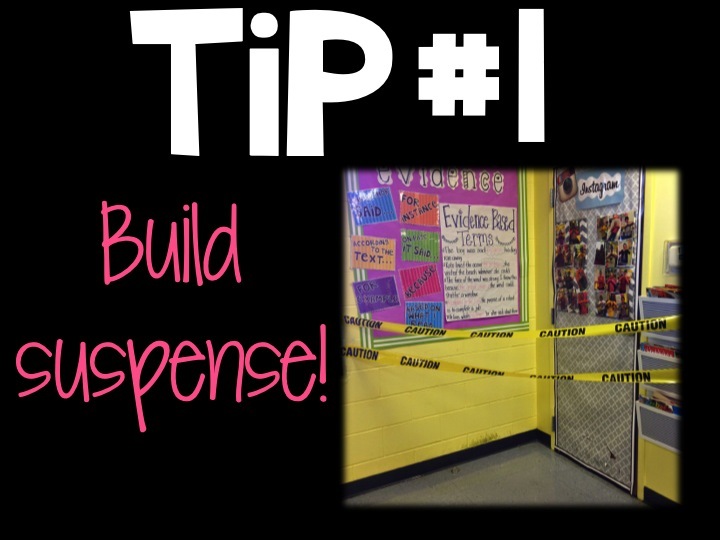 Create a special display in your classroom and post your students pictures when they earn VIP. This year, I'm doing a VIP Wall of Fame where I'll display pictures of my kids as they earn access into this special "club"! When do you pick new VIPs? I don't have a set time I pick new VIPs. I pick them when I see someone who is going above and beyond the average student. How do I announce new VIPs? This is one of my favorite aspects of this system. Since my kids all have their own Chrome books and school email, I email the people who are chosen to be VIPs. I'll announce to the class that I've sent out VIP emails and everyone checks. It is SO FUN to see the kids who have earned it read their email. I'm so proud of them, I sometimes have to try very hard not to cry! They are so proud of themselves (and rightfully so!). 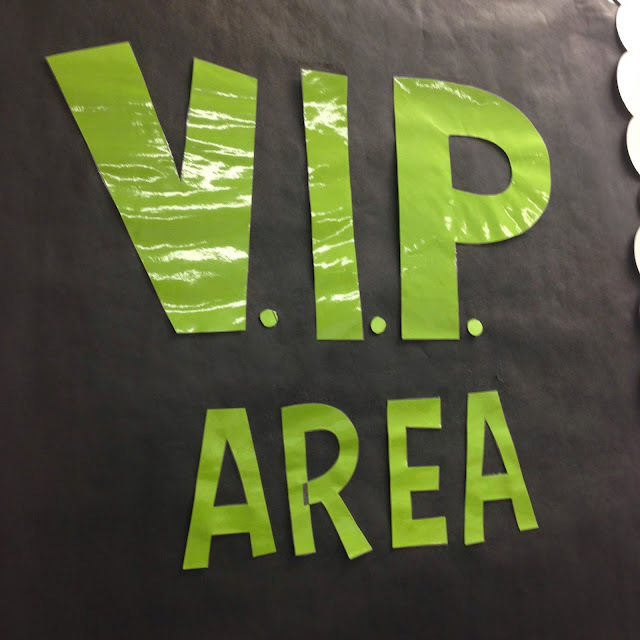 When he or she reads their VIP email, it contains instructs to come get an All Access VIP Pass from me and then move their stuff to the VIP Area. Everyone claps and praise the new VIP(s)! How do you earn VIP? How long do VIP members stay in VIP? It varies! Sometimes a week, sometimes two, sometimes half a week. 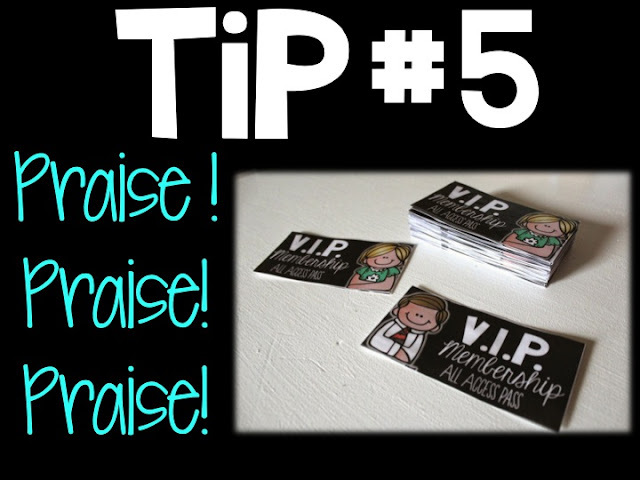 It just depends on if other students have earned VIP and I need to change students out. Can you get kicked out of VIP? How many students are VIP at a time? I tried Status of the Class last year, but I couldn't get a handle on using it in an effective way. I found sometimes kids were making up which page numbers they were on. I'd love to hear more about what the tests entail that your kids take. I like this, and think it could work in my classroom. HOWEVER, I am concerned about a child NEVER making it. You know that child. Did you ensure that even though it is stated you "might not make it" to VIP, that every child has at least one time in VIP? Yes, we all have that one student! For my strugglers and behavior issues, I look to see when they are accomplishing a goal (however small that might be) or trying to work to get better. For example, one struggler had a really great week in my class. He read for about 60% of independent reading time, which for him was an accomplishment and he was awarded VIP. For another student, only reading 60% of independent reading time would not be an accomplishment. 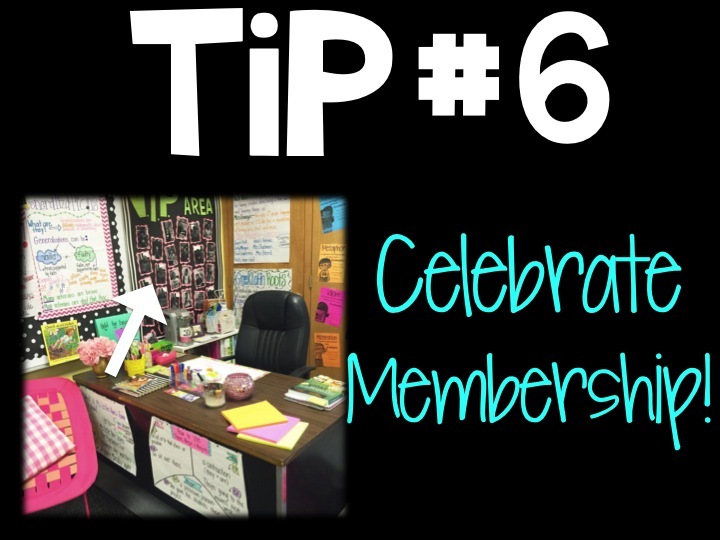 Just know your students and look for small accomplishments within each individual student. Hi! I enjoyed your video about Status of the Class. I heard you mention several times that the students unpack, do a warm-up, and you take status of the class while they do a warm-up. This is actually very similar to my routine for my language arts block. What kind of warm-up do you have for them? I'm always looking for new ideas:) Thanks!! Thank you for sharing! 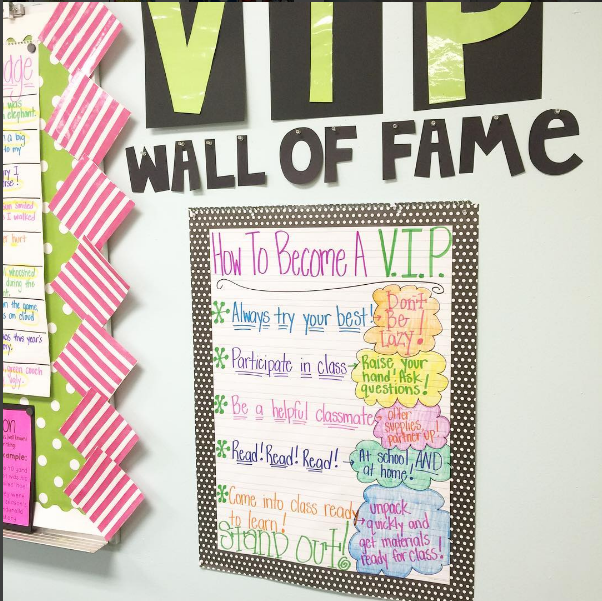 I'm wanting to do VIP in my 5th grade classroom this coming year, and this post is very helpful! Do you always pick 4 VIPs at a time since you have 4 chairs? If not, how do you decide which student(s) must leave VIP for the one or two incoming students? Thanks! I like the status of the class. Thank you for your video. However, I was wondering how long it takes you each day to fill in the names of all the books. I have 35 students and I think it might take too long? Thank you. Love each of these posts! Definitely using Status of the Class this year! You mentioned a warm-up while doing Status of the Class. Is this a skill type of warm-up or is it their independent reading time? OR is the independent reading time after their warm-up? Also, how long does the warm-up/independent reading time last? I want to piggy back on Julie's question! 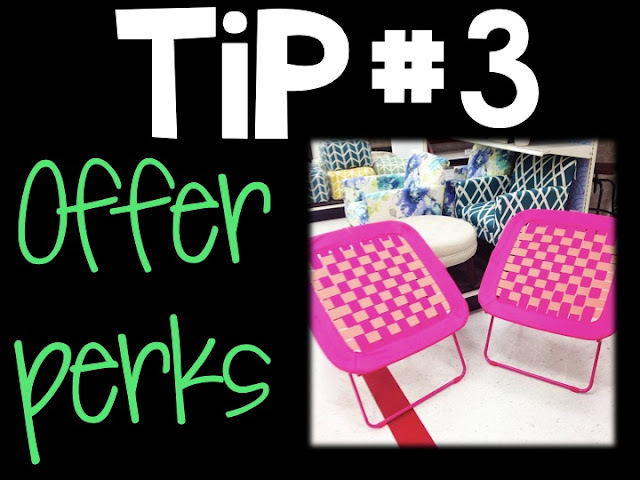 How do you decide which student leaves the VIP spot when another student has earned it even if they have not done anything to lose it?